The Magento shopping cart has wonderful tools like attributes that makes it easy for users to control custom content on your products. Recently, I have had a client that needs to display the same information over multiple products. So rather than manually adding it on one product, I thought it would be easier to link a custom cms static block to the product page. While this seems like an easy thing to do, Magento makes this a bit complicated to set up. So this tutorial is meant to show you how to do this! After this tutorial you will be able to control static cms blocks from any product in your Magento store. Setting up your Custom Product Attribute. First we need to set up a custom product attribute correctly in magento. This will let us create a few cms static blocks and link them to our product. First login to your magento backend and go to Catalog > Attribute > Manage Attributes. Once the page reloads click on “Add New Attribute”. This will take you to a page where you can set up your attribute. One of our clients at the office had a store and the “wishlist” button in the product view wasn’t working. The products he was trying to add weren’t in the root category. 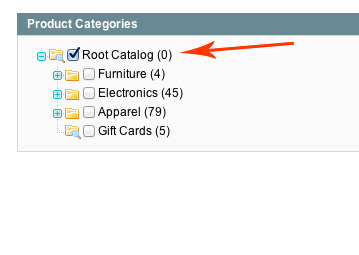 You must add your products at least to the root category. Magento Provides the manage customers feature to list and edit the customers information. The Customer edit page in the admin panel gives details about the customers account information,address,orders etc. In some scenarios we may need to show our custom module contents related to the customer in a additional tab. To achieve this functionality we need to create a custom module and add our tab. Step 1: We start with our config.xml file. In this file we are specifying an adminhtml xml layout file and a Block class for our custom module.